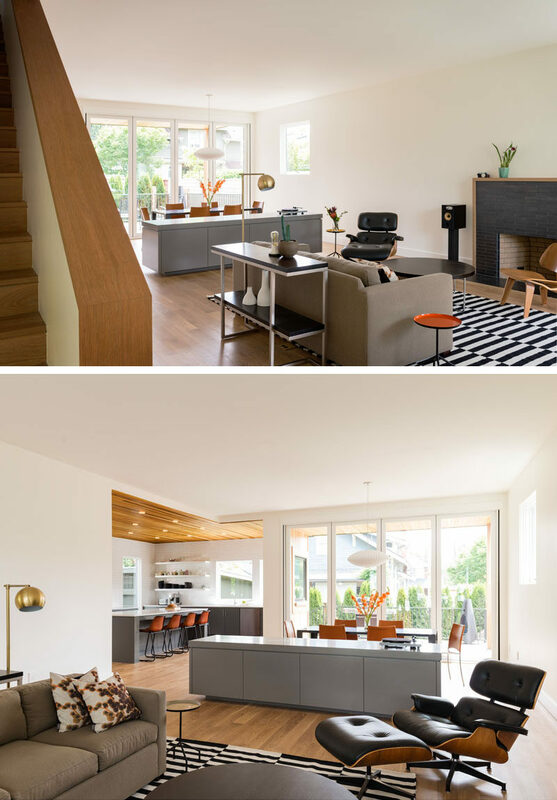 Beebe Skidmore have recently completed a new home in the Alameda-Beaumont neighborhood of Northeast Portland, that has a look influenced by the owner’s attraction to spare, clean lines, and careful use of color and material punches. 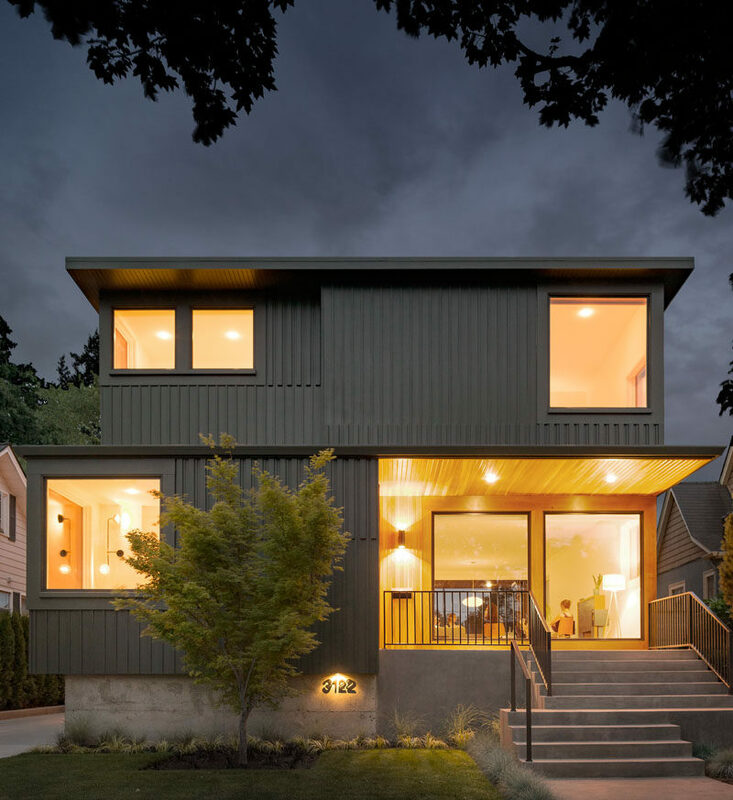 The exterior of the home uses a variety of board and batten sizes and patterns. 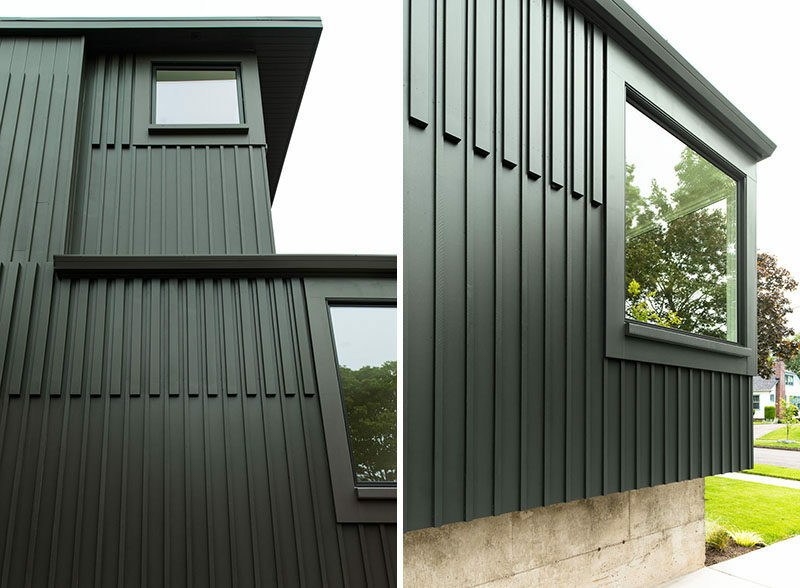 They created this look by using readily available lumberyard milled sizes, including 1×8 v-groove cedar siding, and 1×2 and 2×4’s as battens. 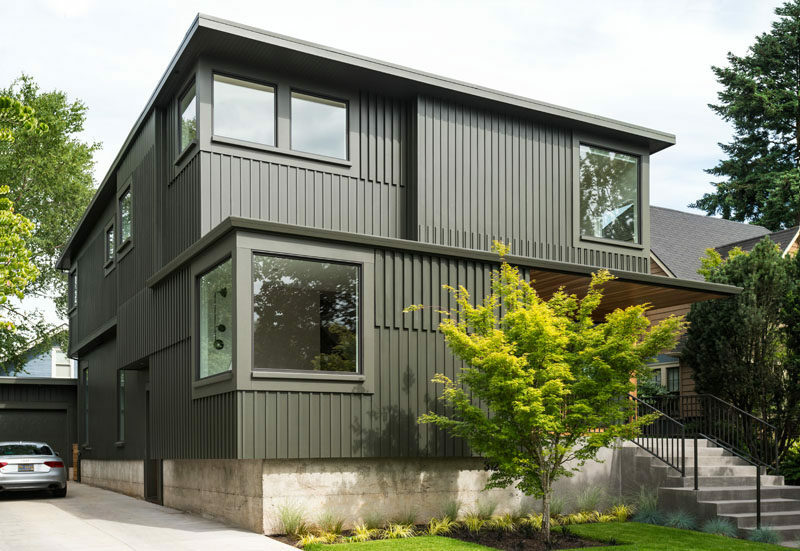 The siding of the home has been painted a rich dark green, and the recessed entry to the home is highlighted with a cedar lining. 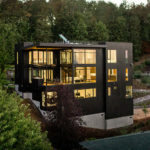 Two floor-to-ceiling windows face the street, with the front door position to the side, allowing for space for a porch. 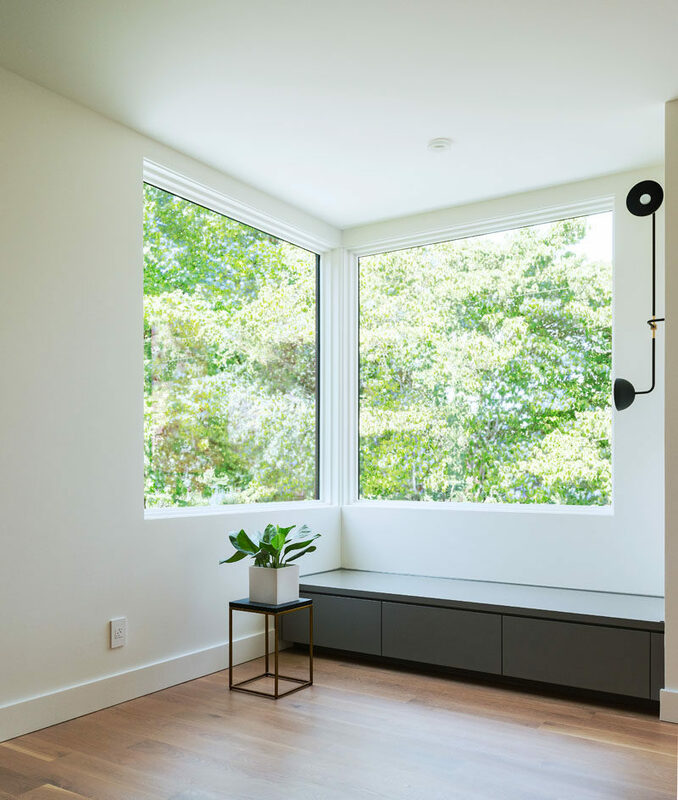 In the entry foyer, large windows provide ample light and draw the eye diagonally, enhancing a sense of spaciousness and continuity between inside and out. Further into the house, the living room and dining area share the space with a 9-foot long custom cabinet helping to define the living room area from the dining room. 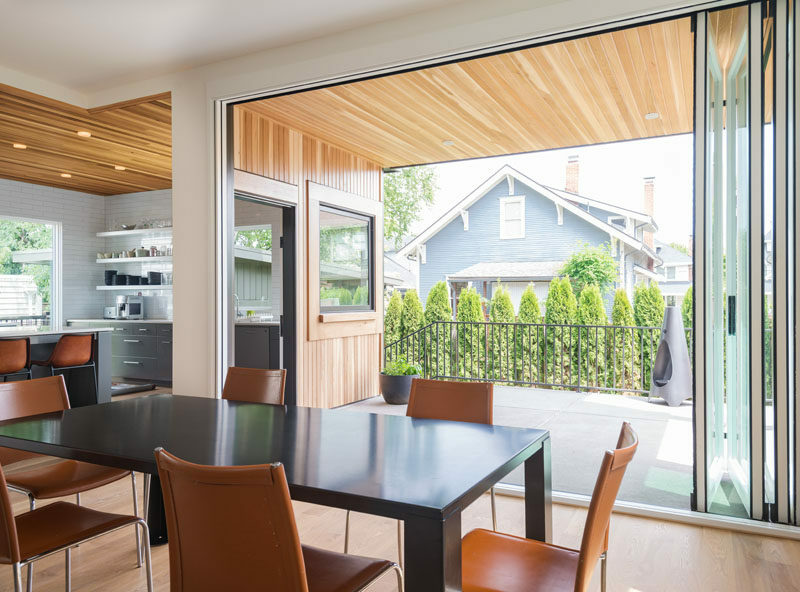 An accordion glass wall and separate side door connect the back deck to both the kitchen and dining room. The back deck is large enough to be set up as an outdoor dining room for ten. 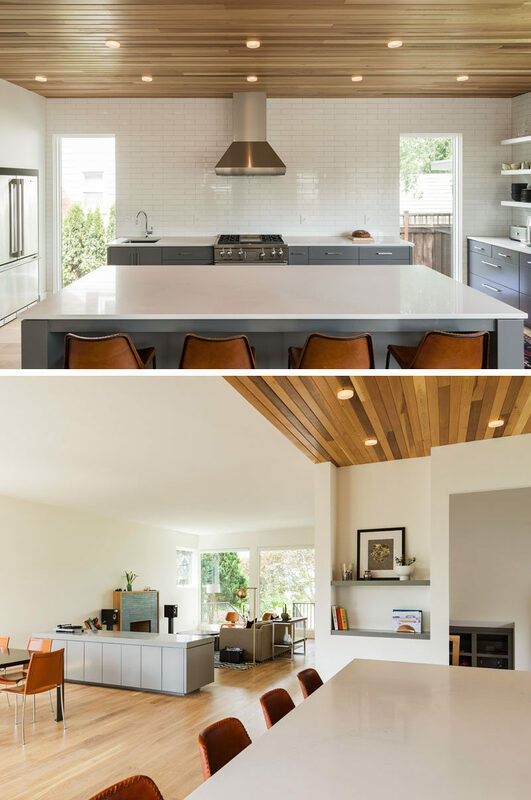 In the kitchen, two large 8 foot tall windows are evenly spaced apart providing natural light to the space, with the white tiles and countertops helping to reflect the light and make the space appear brighter and larger. 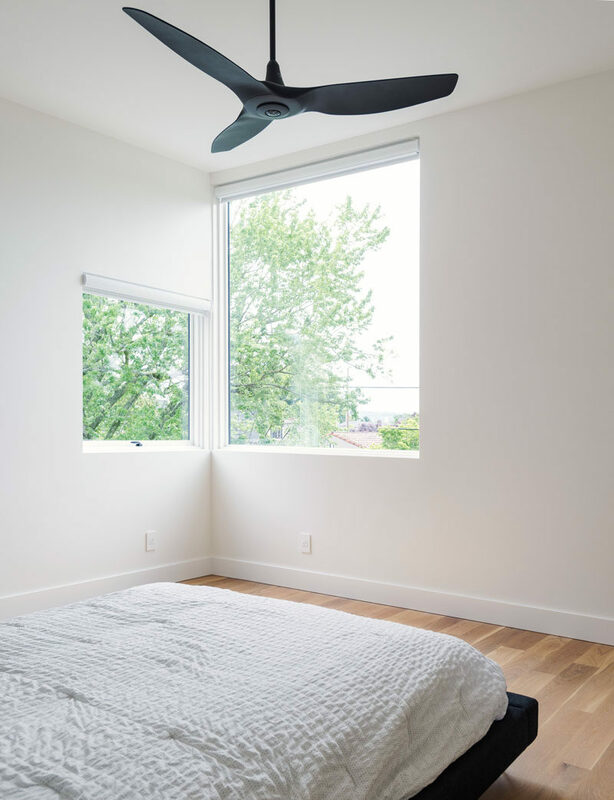 In the master bedroom, corner windows provide a view of Portland’s downtown skyline and West Hills, while a black ceiling fan and bed-frame contrast the white walls. 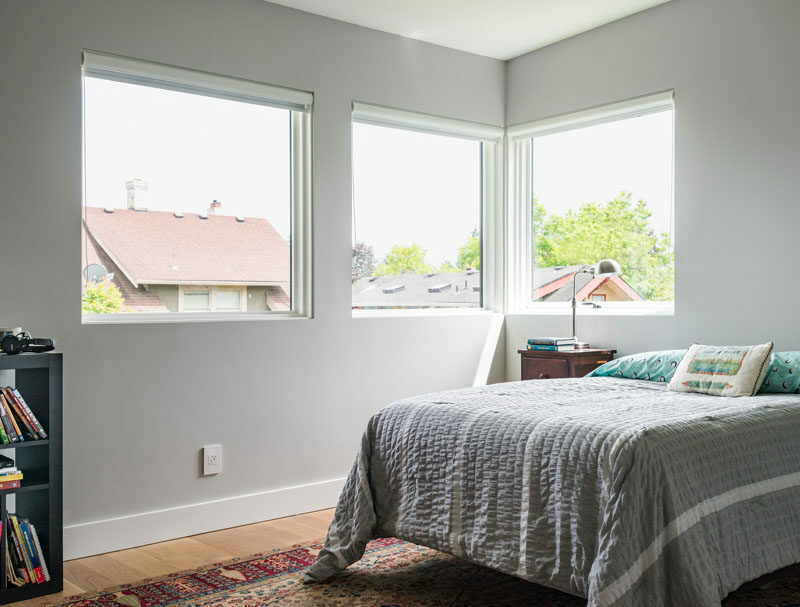 In the kid’s bedroom, light gray walls are paired with custom white oak flooring for a soft contemporary look.